There are few better ways to explore Santiago, Jakobsweg and St. James Way than through Tour'n'ride, undoubtedly the city's number one service for renting bicycles. Aside from local tours, if you are thinking of journeying through northern and central Spain then Tour'n'ride offer a fantastic range of packages that will cater for all your cycling needs. Whether it is for a week or a fortnight, everything necessary for your trip will be supplied; Pannier packs, bottle holders, travel bags, seat covers, GPS devices, gel pads and more. The company use bicycles from the leading Spanish brand BH, which riders will be happy to hear are specially designed for terrain like that found in the Camino de Santiago. 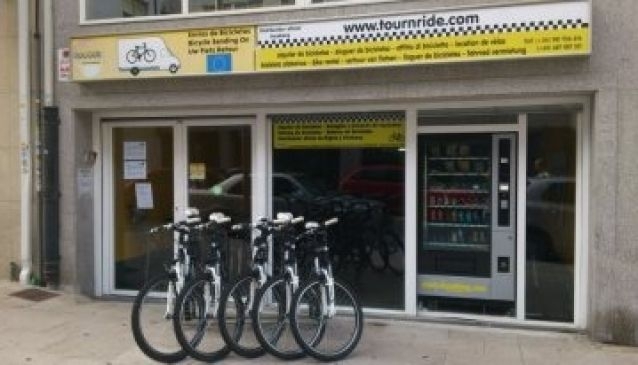 Those interested in hiring bicycles from here should be aware that they can often be fully booked weeks, if not months, in advance, so book early to avoid disappointment and also take advantage of a 5% discount.